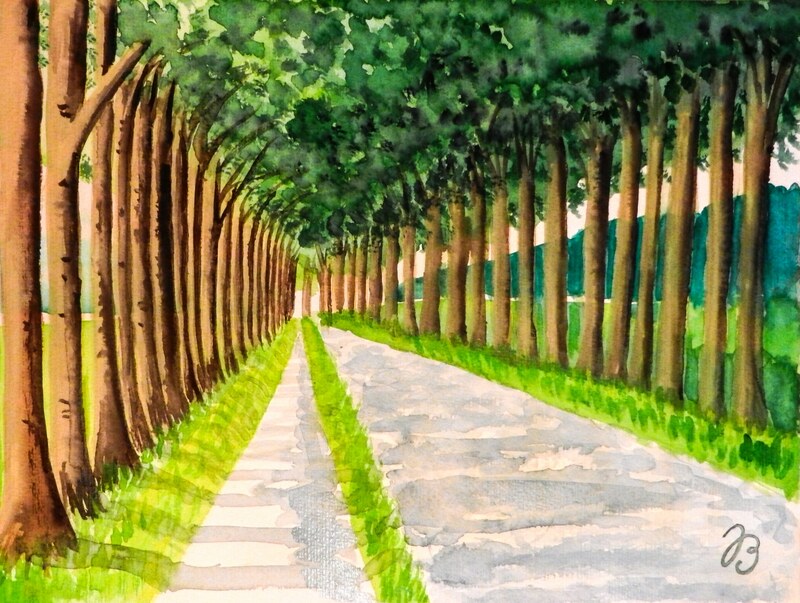 This painting shows an alley of trees near Ermelo, Netherlands. I love trees and I especially love these kinds of parkways that seem to go endless. I can’t get enough of them. I made the photo of this parkway (on which the painting is based) two years ago, during my last visit to the Netherlands.